John Duthie Runs Deep in the partypoker Sunday Majors! Well done guys. John phoned me to talk about his exit hand this morning. “I’d been playing tight...” he started. 4th in @partypoker big game for $82k. Today was so intense, 15-20 tabling high stakes for 12 hours. New schedule very crazy! In a good way. 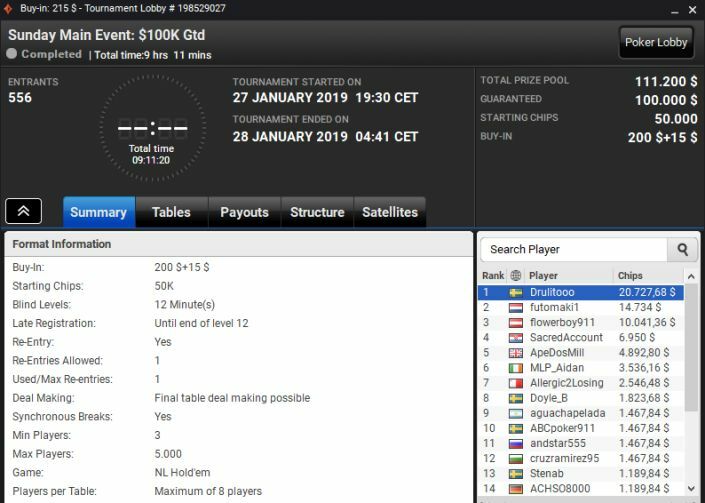 The Big Game attracted 211 entries at $5k apiece, meaning there was a little over the $1million guarantee, and it was ‘edgybrah’ who made the most of it with a $215k takedown, well-known Ukrainian online beats Roman Romanovsky also winning big under his ‘SanityWaterline’ moniker. 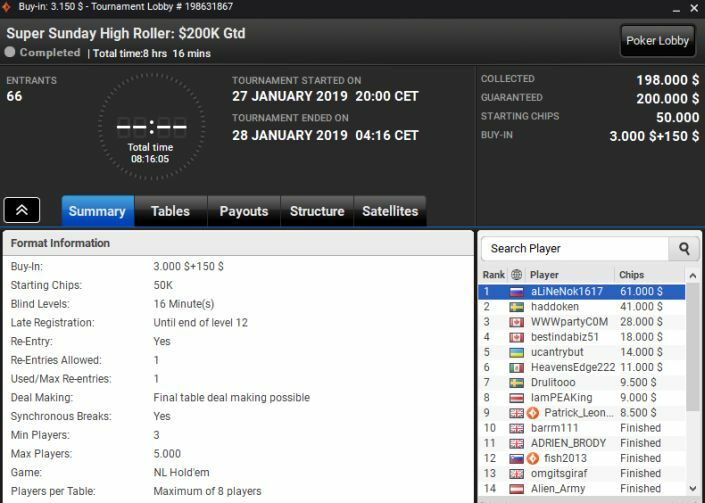 There was plenty of other action throughout the day, of course, the $200k Super Sunday High Roller seeing plenty of it, with Russian pro ‘aLiNeNok1617’ seeing of a trio of Canadians at the final table to scoop the $61,000 top prize in the $3k buy-in event. 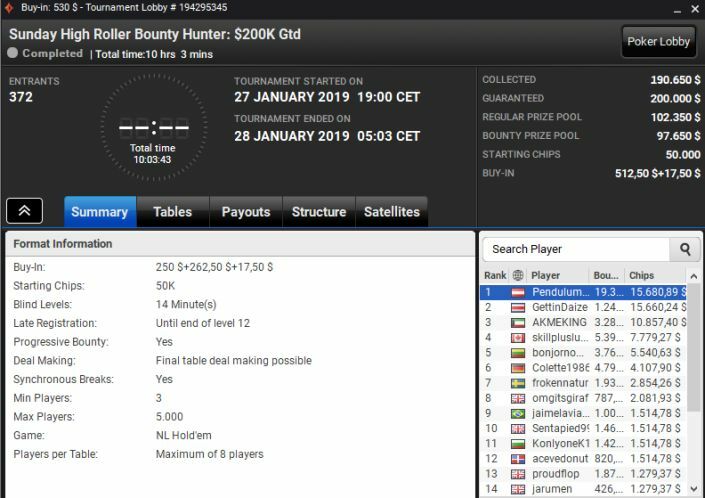 The Bounty Hunter version of the Sunday High Roller, with a $512 buy-in, drew some 372 entries – the final table swinging the way of Austria’s ‘pendulum‘, whose $15k regular prizemoney was topped up by a staggering $19k in bounties! 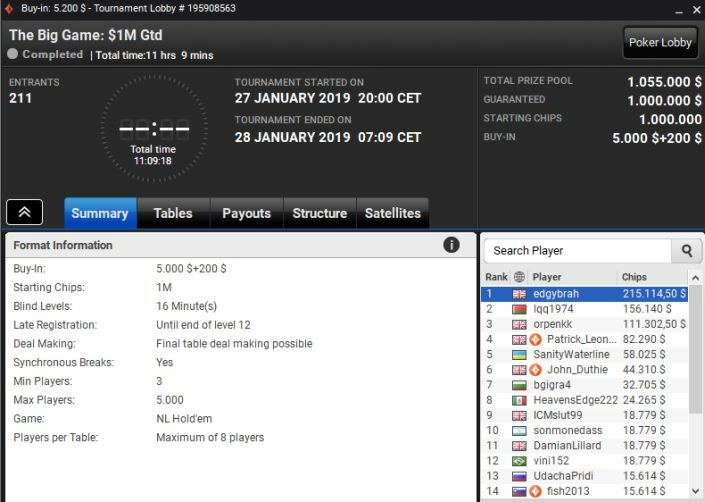 The $100kGTD Main Event was next on the agenda for the big boys and girls of partypoker, and it was a very familiar name who took down the $20,727 top prize – Sweden’s Nikolas ‘Drulitooo’ Astedt. Astedt is the number one online MTT player in the world, earning over $13million in total across all sites, his partypoker share approaching a cool $4.5million. 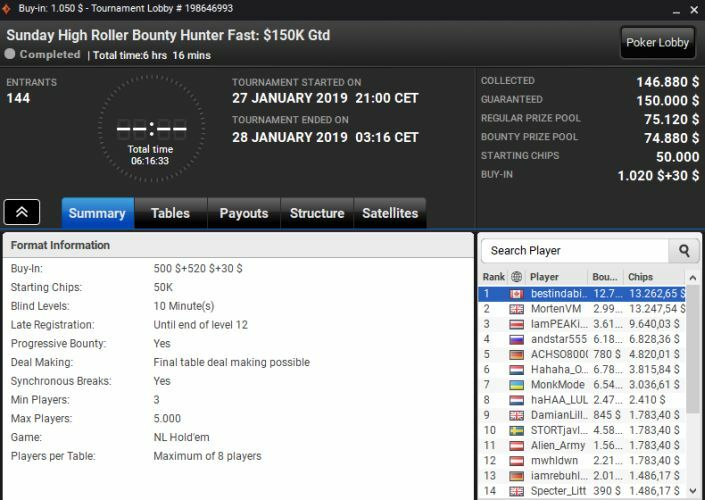 Last, but certainly not least, was the $150k GTD Sunday HR Bounty Hunter Fast version, a gross of entries (that’s 144!) ponying up $1020 apiece. It still took over 6 hours to decide the winner, and that turned out to be the aptly-named ‘bestindabiz51’, aka Sam Panzica. Join us again next Monday for the Sunday roundup of the biggest and best partypoker winners!